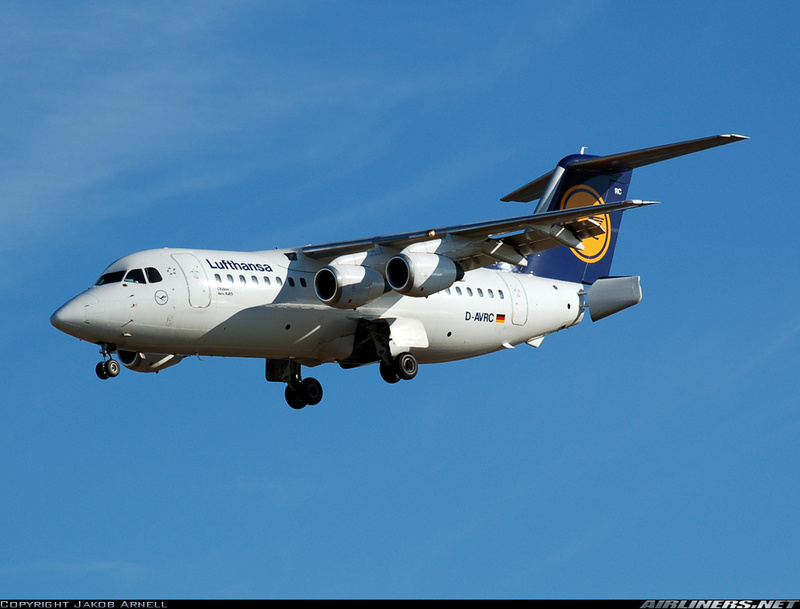 The BAE 146 was a short take off and landing (STOL) design which was developed for short haul flights between inner city airports. Its quiet operation allows it to fly where other jets are restricted due to noise legislation. Its 4-engines, high wing and T tail lend it a resemblance to Lockheed's famous airlifters and has given rise to a derisive nickname from pilots who are unfortunate enough not to fly it: The Fisher-Price Starlifter. The fuselage is two halves from nose to tail. The cabin windows are open, with no clear parts provided for them. Either fill them or Krystal clear/Clearfix them; decal film just won't do it. No interior detail is provided, and the small windows would render any interior redundant anyway. The cockpit windows are the old-fashioned Airfix style strip, which makes getting them to fit properly without either breaking or falling into the fuselage something of a challenge. The panel lines are nicely engraved and match up well. The APU exhaust is left open. It can easily be blocked off with a small scrap of plastic card painted black. If the windows are left open, the interior should be painted black to prevent the model from looking toy-like. Revell advises that 10g nose weight will prevent this one from becoming a tail sitter. There are several tiny antennae moulded the right fuselage half that could become casualties of the building process unless care is taken. The nose and main landing gear bays must be glued in place before the fuselage halves are closed. It is easy to misalign the main gear bay, which will affect the final sit of the aircraft. A little care and attention at this point will prevent the model from looking twisted later on. Revell would have you assemble the landing gear before closing the fuselage, leaving it vulnerable to damage throughout the rest of the build. It is possible to build the kit and then install the landing gear, but whichever option is chosen will mean fiddly work. Either the gear gets in the way of assembling the engines and wings, or the engines and wings get in the way of assembling the gear. The wings consist of a single upper piece and two lower halves. As with the landing gear bay, it is easy to get the wings misaligned which will result in one wingtip sitting lower than it should. A pair of flap actuator fairings are provided for the outer wings. They're in two pieces which makes for an extra seam to fill. Two pairs of landing light lenses and a pair of wingtip navigation light lenses are tiny clear parts which are a challenge to clean up and install without losing them. The horizontal stabiliser is a one piece moulding that is designed to sit on top of the fin. This will make doing any scheme where the fin needs an overall decal very difficult. There is no easy solution beyond careful masking and trimming. The engines are offered in left and right halves with their pylons. Intake fans and hot section exhaust cones are provided but no turbine fans. Be sure to paint the insides of the engines black to prevent the lack of detail from being visible. I don't compare models to drawings or published measurements. When assembled it looks like a 146. The decal sheet is small, with only the basic airline markings and a few stencils. Markings are provided for Lufthansa and Crossair. The tip of the fin must be painted to match the decal for the Lufthansa scheme. No window decals are provided. There are many different aftermarket schemes available. 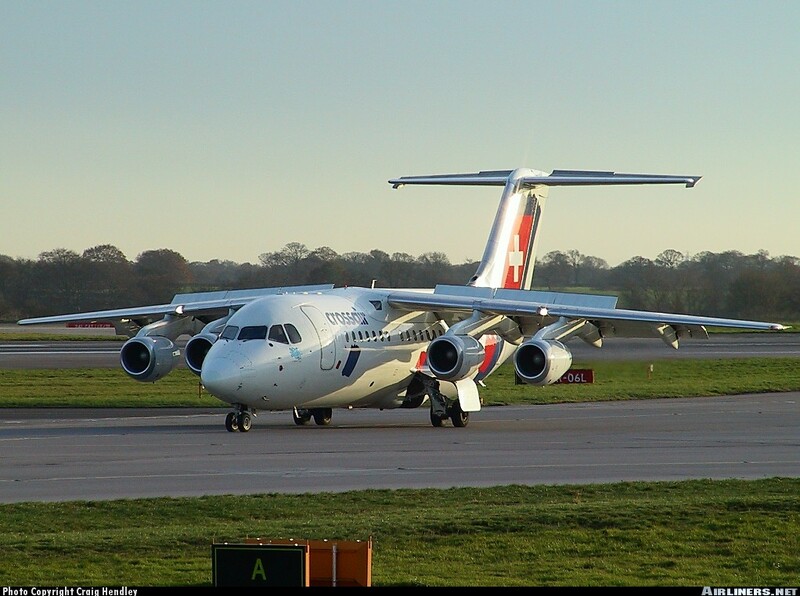 This kit may be converted to an RJ-100 (BAE 146-300) by using a Welsh Models vac fuselage. It could also be cut down to the -100 length but there's no real reason to do that given that Revell issued a kit of that version. Lows: Delicate parts mean that they can easily be broken or lost. Care must be taken while removing them from the sprues and handling them while building. Landing gear bay and wings are easy to misalign. Verdict: This is a fun little kit.